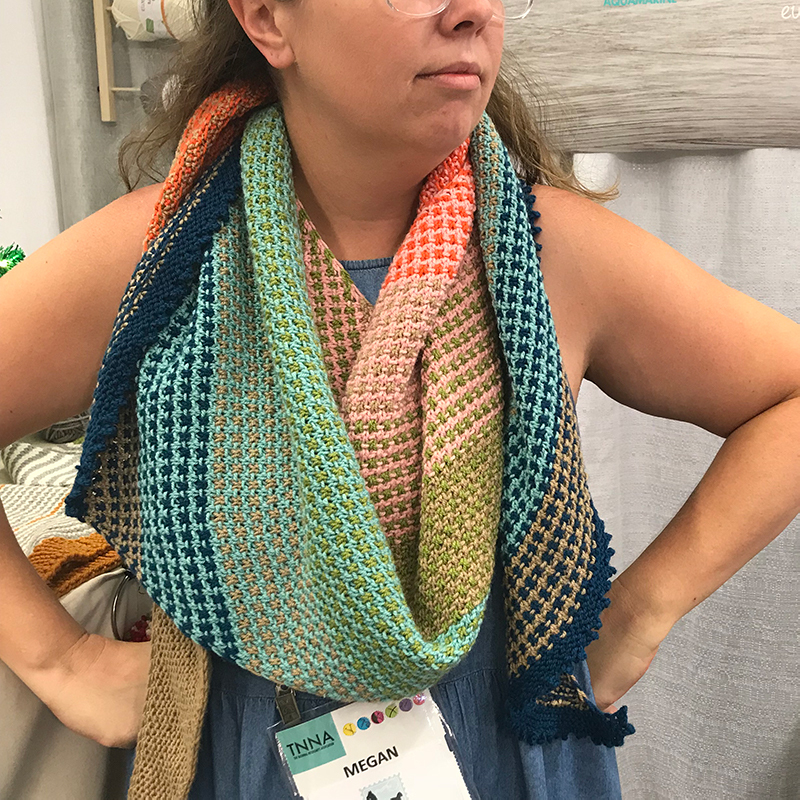 Celebrate summer with this shawl project that you can take on-the-go...and into winter. 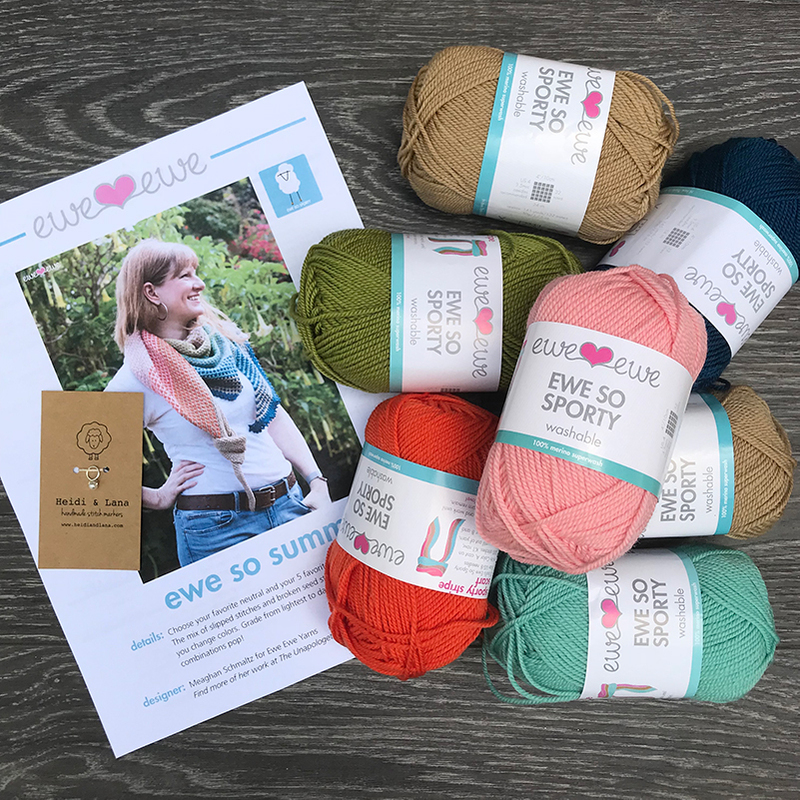 From designer Meaghan Schmaltz, Ewe So Summer is a six-skein, oversized shawl that pairs 1 neutral with 5 summer-inspired colors from Ewe Ewe's Ewe So Sporty Line. . With slip stitches and broken seed stitch, this shawl combines texture and color for a shawl that is seriously fun to wear and will keep you thinking about summer all winter long. 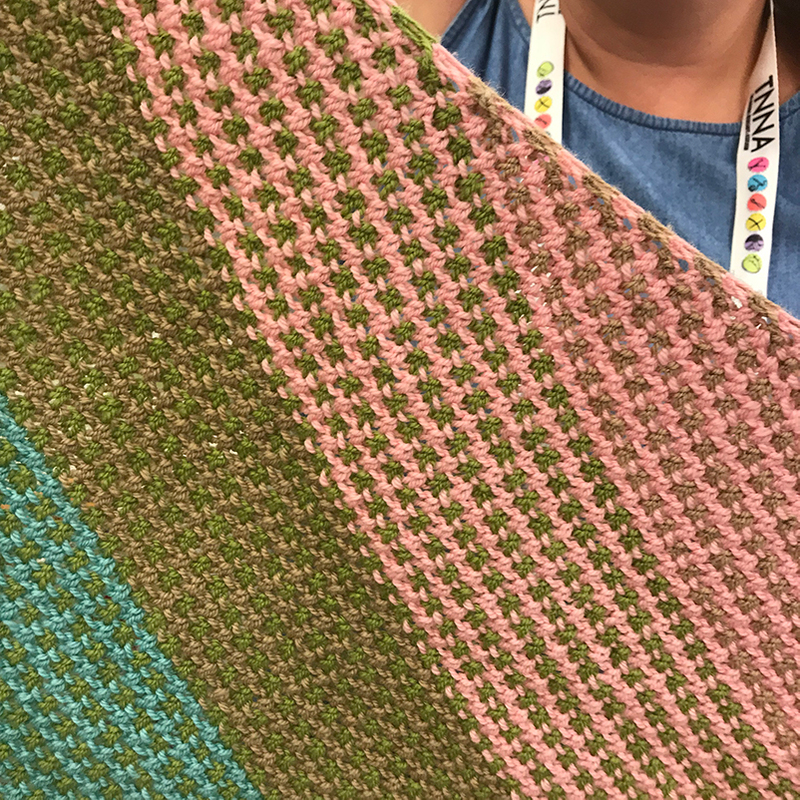 Recently released in support of Local Yarn Store Day, this pattern is only available in-store. We're thrilled to have the opportunity to share it with you! Needles needed: US 8 32" circulars (not included, but get a pair of Knit Red ChiaGoo needles here).